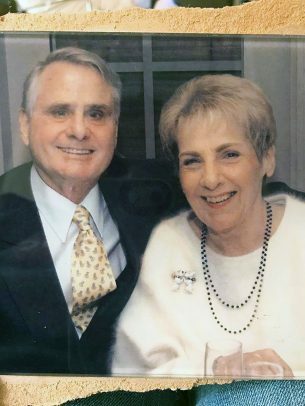 Bob Danner, with his wife, Dolores. Bob Danner, who coached UIC’s swimming and diving and water polo teams for 30 years, died Feb. 2. A legendary coach in UIC history, Danner was inducted into the UIC Athletics Hall of Fame in 1999. Danner came to UIC in 1965 to coach the diving team. During his 12 years at the helm, he sent six divers to the NCAA Championships and coached eight All-Americans. He also had the distinction of coaching UIC’s first NCAA national champion, Gary Dworski. Dworski won two championships, on the 1-meter and 2-meter boards in 1971, and was undefeated in dual meets during his career. In 1967, Danner added the swim team to his coaching duties. He remained in that position until 1994. Over that span, he coached 32 All-Americans, had two teams ranked in the national Top 10, was a five-time conference Coach of the Year, and two-time Illinois Swimming Association Coach of the Year. Andrew Alberico was one of Danner’s team captains in 1992. “Coach Danner knew how to connect with his swimmers,” Alberico said. “Through his 30 years of coaching collegiate swimmers, divers and water polo players – he knew when to push you and when to leave you alone since often we were our worst critics. He gave you the freedom that you needed in college while still demanding results. Bob made swimming for UIC fun, not just a job. “Long swimming road trips in the middle of a Midwest winter can take a toll, and he worked to keep spirits and confidence high. Whether it was celebratory dinners after meets, or pranks on buses — he recognized people’s effort and contribution and rewarded accordingly. We all worked hard for Bob because he earned our respect and admiration as a coach. Americans and was a 1997 inductee into the Illinois Water Polo Association Hall of Fame. The UIC swim team will honor Coach Danner at the end of its season. Danner was preceded in death by his wife, Dolores, and sister, Patricia. He is survived by two children, Katherine and Robert, four grandchildren, and his brother, Richard.